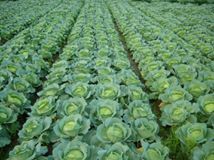 There are three common types of cabbages: Gloria, Copenhagen and Drum Head and they may all be grown and harvested within just four months or less. 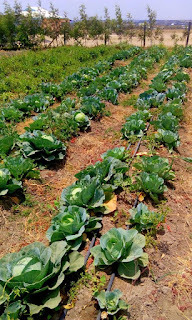 Gloria is the most tolerant to poor rainfall conditions of the three types of cabbages and it may be ready for harvesting in about 100 days after planting. 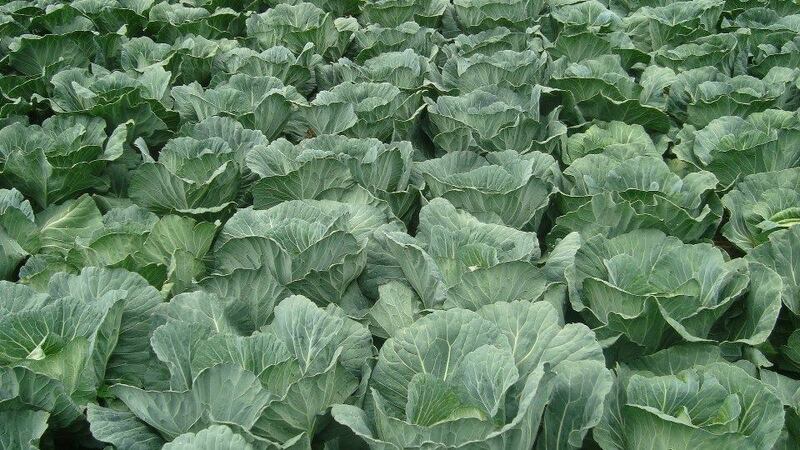 Gloria cabbages are normally heavy, each one weighing an average of two and half kilograms. The Drum Head, takes longest to be ready for harvesting. 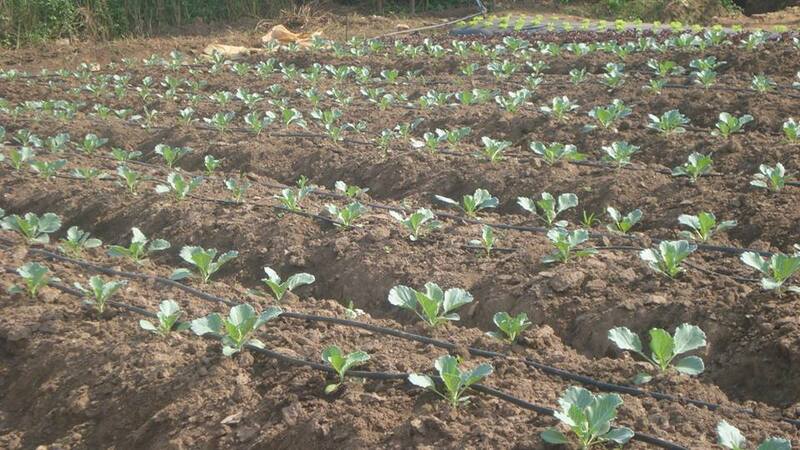 It takes as long as 120 days or 150 days to harvest after planting. 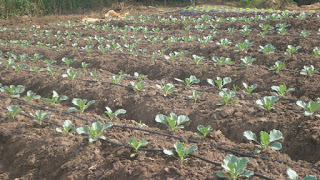 Given that it requires plenty of rainfall to sustain a good crop of Drum Head, the farmer must strictly plant at the beginning of the rain season. Copenhagen takes a shorter time to grow, being ready for harvesting within about 70 days after planting. Like Gloria, it has a compact head and is about the same average weight but it has a disadvantage of its head bursting rather easily on the farm if not harvested in time. 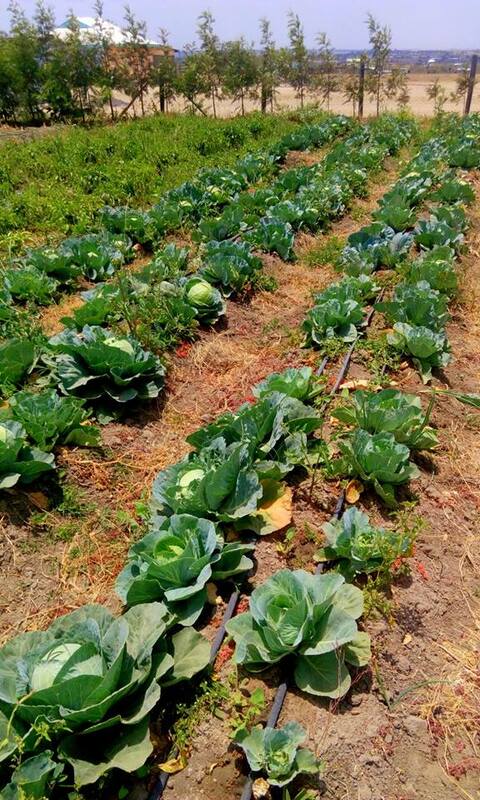 There is an advantage to growing cabbages during the dry season, for farmers who can afford irrigation, in that the farmer will get better prices as cabbages are scarce during this time, which makes demand for them very high.